If you are carrying a full size semi-auto frame, or a full size revolver, you will need a sturdy holster that can support the weight of the gun, still ride well and be concealable on your belt, either in or out of the waistband. The larger the gun frame the harder it will be to conceal, and a good holster goes a long way in helping you hide it. For full frame guns many people who carry tend to “Dress Around the Gun,” meaning they choose outfits that maximize their ability to hide the weapon. For example: I carry a Sig Sauer P226 with a rail mounted light. I always have to wear an over shirt, jacket or sweatshirt to make sure this giant steel gun stays hidden. Since it is the gun I am most proficient with, it is worth the minor inconvenience of changing my wardrobe. For good full size holsters, check out Raven Concealment, G-Code or Serpa from Blackhawk. A gun you carry on your hip may fit great in a kydex holster, but that hard plastic shell may not be feasible should you decide to appendix carry or carry inside the waistband. While the hard plastic kydex is sturdy and multi-function it is also inflexible and can be more difficult to conceal. Leather holsters (horsehide or cowhide) are softer, especially against your skin but are not as ridged and tend to wear. Over time they will lose their shape and collapse making re-holstering difficult. I’ve seen countless people sweep their off hand with the muzzle of their weapon as they try to hold the holster open to get the pistol in between the two pieces of material. There are now hybrid holsters on the market that have a horsehide back with a kydex piece mounted to it. These offer the best of both worlds, comfortable yet sturdy, but again may not work well into your preferred carry method. Check out Crossbreed Holsters for an example of this type. I have worn both their inside and outside the waistband holsters and they are ideal for my smaller Sig P938. After a year of wear, the horsehide has stretched a little and the pistol is not quite as tight as it used to be. Crossbreed offers a lifetime replacement warranty so I am never worried about this setup. Whatever material you choose there are a couple more things I want you to consider. In addition to holding the gun well, can it hold onto you well? If someone should try to take your gun out of your holster, and you lock down on the holster to prevent losing your gun in a fight… is the holster going to come off the belt? Good leather holsters that the belt feeds through, or good kydex reinforced loops will likely serve you well should you find yourself in a struggle over the weapon. I have seen paddle holsters and those made of softer, flexible plastic get cut apart by the metal rivets that join the pieces together, which will cause the holster to separate and fall off. Some of the softer more flexible plastic holsters are two halves riveted together and after aggressive use, the plastic is cut by the rivets rendering the retention of the holster useless. The last thing any gun owner wants is their several hundred dollar tool to clatter to the floor. In normal society it would be very embarrassing, and in a threat situation, it could be fatal. Lastly, is the holster sturdy enough to be used to cycle your weapon in an emergency? If you find yourself disabled, need to perform a one handed reload, or need to clear a malfunction, is there a piece of your belt or holster you could use to brace the rear sight on to rack the slide? One alternative to holsters has been a clip. Kel-Tec made this design popular by adding a large spring steel pocket clip to the frame of the gun which made attaching it to anything quick and easy. I’ve seen various clip on guns like the P938 and on the famous Walther PPK. A fellow deputy of mine has carried his PPK on a clip for years with great success. If you choose this option, make sure whatever you are clipping the gun to is sturdy and capable of supporting the gun. (Like a good leather belt) Check the clip itself for tension as well every time you carry. 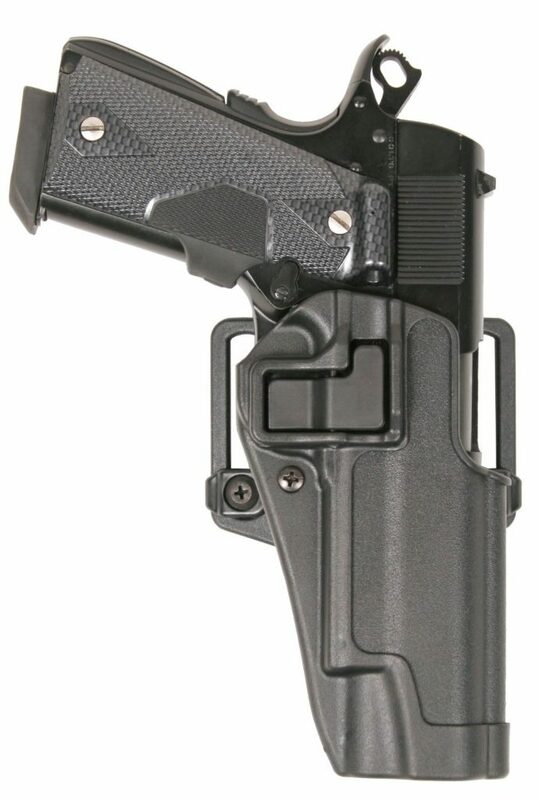 The material the holster is made of makes a significant difference in comfort and conceal-ability. I cannot emphasize how important it is to invest money into a well-made holster that is comfortable to wear. Spend the extra money and I promise you, you won’t regret it! Buy once, cry once… rather than buy several holsters and discard them all over time. Take time to try on a holster, test it out and make sure it works for you. I want to stress this point, because if you find a way to carry your firearm that fits your body shape and preferred method of carry, and it is comfortable… you are more likely to carry your gun. I’ve had several people tell me they don’t carry a pistol because, “It’s too heavy, it’s too uncomfortable,” or “The gun will fall out of the holster, or it’s too hard to conceal.” If you have a poorly made holster and that is deterring you from carrying a firearm that you might need to save your life… shame on you. Do the research, and spend the money… and CARRY your gun. The option of having a retention device on your holster is a personal choice. Holsters like the Blackhawk Serpa have an undeserved bad reputation for their index finger retention device after several people (Who did not train properly) shot themselves. Rather than press the release button and then index their trigger finger along the frame, they would curl their finger into the trigger guard during the draw stroke and inadvertently fire a round. The holster is one of the better quality gun buckets you can buy for a value price. It does require some trigger finger discipline and practice to obtain peak efficiency in its use. I use the Serpa as an example because if you choose to carry a holster with a retention device, make sure you are proficient at releasing the device when drawing the gun. I recommend at least 100 practice draws before you carry it full time… and at least 300 draws total to make sure you develop good muscle memory and unconscious competence when using your holster. Most carry holsters have a simple snap or are a clamshell design that uses compression on the sides of the holster to hold the gun in place. Both are proven designs with a solid track record of good performance. As long as you are not performing a gymnastic routine while carrying, the gun, it should stay firmly in place. 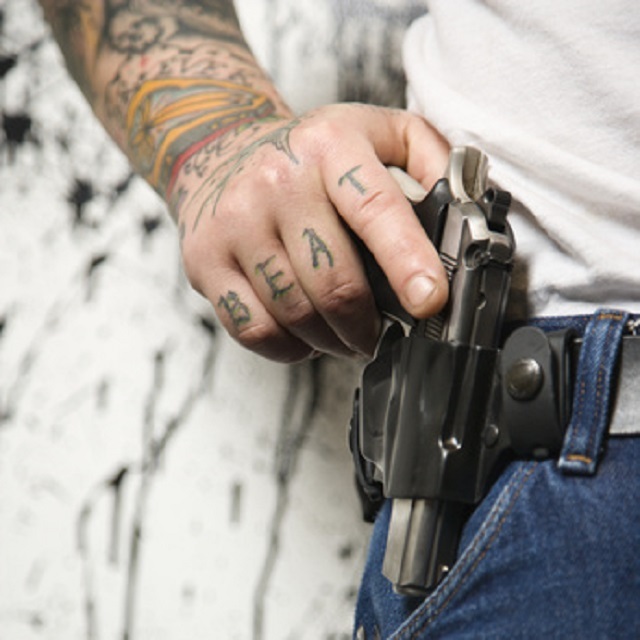 Retention devices are for those individuals who may put a bit more demand on their holsters. Police are an example of this. When I carried on duty we’d get in foot chases, climb walls and fences and get into fights and knowing that I had a quality holster with a good retention device was an asset. I knew my gun would stay where I put it, not fall out and be difficult for the bad guy to get to. Having the retention device made me train more. Having to qualify under a time limit will make you rehearse until you can release the hood/snap/trigger guard catch/etc. without having to consciously think about it. Finally consider how and where you want to carry your gun. Strong side, weak or off side, shoulder, small of the back, appendix, off body (purse of backpack) cross draw, pocket or clip draw, bra carry… the options abound as does the equipment. Positions you can carry in are a whole other article. I’ll conclude by saying this: When considering where and how to carry, you have to factor in the gun size and how deeply concealed you want the gun to be. The deeper concealment, the harder it is to detect…and the harder it is to get to the gun quickly. It is up to you as the individual to balance draw speed versus concealment to determine what is best for your every day carry. Whatever you choose… train, practice, rehearse and then take a training class to verify that the skills you are developing with your equipment really can meet the demands necessary to win when you have to. Until next time, Be safe, Train to win, Stay in the fight. Remember, your mind is the weapon, everything else is a tool! Footnote: I am not sponsored by nor do I receive any compensation for mentioning the holsters or manufacturers above. I give out these brands because I have personally trained with them and carried my guns in them. I trust the quality of the holsters in the article and I want to pass on my personal recommendations to you. What works for me, may not work for you, so do the research!